We had a newcomer so David taught his 1st lesson for beginners, but it is always a great lesson no matter how long you have been learning Taijiquan and you should always feel something new every time coming full circle on this lesson. 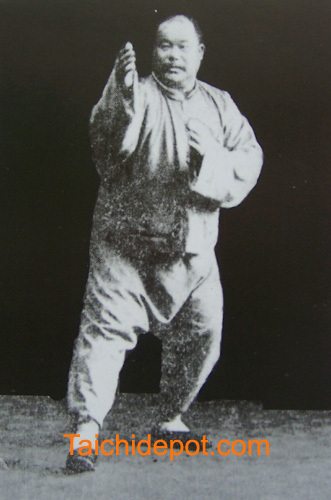 1 hour class: first lesson is on Taiji standing as exercise, meditation, and martial art. 3. Feel skin merge with outside, focus on nothing outward. 4. Feel what is happening inside. 5. Hands at side and flat. 1. Physical exercise aspect: reductionistic in no movement. 2. Meditative: knowing, awareness , enlightenment. 2. Left bow stance- ward off left. 3. Right bow stance- ward off right. 4. Left empty stance- lifted hands. 5. Right empty stance- play pipa. 1st 1/3 of form 3 times. This entry was posted in Health/Qigong/Healing, Wushu/Kung Fu. Bookmark the permalink.